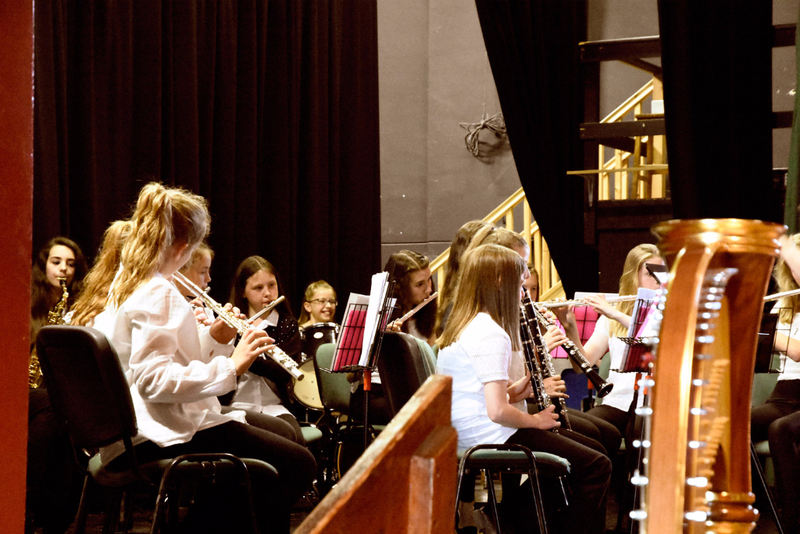 With members ranging from year 3 to 13 the Concert Band performs a wide selection of music ranging from traditional, swing, big band jazz, rock, popular song and theme tunes from film and TV. We are made up of a selection of wind instruments and drums although we are happy to welcome other rhythm section and brass players. Any players of Grade 1 standard or above are encouraged to come along and give it a go!